As a recognized experts in the field of weight control, eating disorders, diabetes management, and cardiovascular health, gastrointestinal health, and so much more Dr. Julie Conner, R.D., M.P.H., Ph.D, B.C.H.N., IFM-CP, C.D.N., Dr. Brian Conner, D.C., C.N.S., C.K.T.P., C.D.N., and Colleen Wall, R.D., C.D.N., are able to provide individualized nutritional assessment and counseling for both children and adults. They are realistic in setting goals for their patients and they work closely with them to move forward from where they are now. Functional Medicine is highly personalized and customized health care. It is all about you! Functional Medicine practitioners comprehensively evaluate an individual’s concerns, symptoms and goals. We begin your health journey with a highly detailed health history. We investigate the root causes of your symptoms by assessing your particular genetics, biochemistry, metabolism, and physiology. We also carefully evaluate your environment and lifestyle as contributing causes of illness. We then devise a customized plan of action to help you achieve the very best health. Functional Medicine approaches your health care differently than traditional medicine. We focus on improving lifestyle, nutrition, stress, hydration, relationships, sleep and exercise. Given the proper health formula, our bodies have a remarkable ability to heal. At Healthy Weighs Wellness Center, our integrative approach combines both a comprehensive, nutritional assessment and a thorough functional medicine evaluation that is designed to get results! We are here with you every step of the way. Our goal is to improve how you feel. We are concerned about your overall quality of life and your future health. Long term health comes from optimizing your body. Traditional medicine asks the question “What disease does this patient have? Functional Medicine asks the question “Why did this person develop metabolic syndrome?” “Why” is a profound question. It yields answers that can truly dictate a path towards wellness. The ultimate goal of this health path is to prevent relying on medications to help solve symptoms of illness and medical problems. You may need to still take a specific medication or two, however, we want to help you minimize the use of medications for your medical problems. With traditional medical therapies the doctor diagnoses you with a disease. Then a pill is prescribed for each disease. This paradigm works well for certain acute illnesses, such as bronchitis, but often fails with chronic diseases, such as Metabolic Syndrome, Irritable Bowel Disease or Diabetes. This is the time to take charge of your life. We want to help you to be the best that you can be. Let’s work together as a team to maximize your health! Come in for a Functional Medicine Assessment! It is a five hour assessment broken up into two Parts. It will help you take charge of your life, probably for the first time! We will work together and maximize your health! Because every individual is unique, Dr. Julie Conner, Dr. Brian Conner and Colleen Wall do not adhere to one universal program. Rather, they construct a personalized strategy for each patient based upon his/her needs and preferences. After participating in multiple hour-long comprehensive visits, each patient works with Dr. Julie, Dr. Brian or Colleen Wall to devise a nutrition plan that will most effectively meet the intended goal. From there, they guide their patient through a step-by-step process towards wellness. All of our nutritionists use near infra red spectrophotometry to measure body fat to ensure that you are meeting your goals. For weight loss, the intended goal is to lose fat not lean muscle mass. Your hydration can be evaluated with this technology, as well as essential, reserve and excess fat. This method is highly accurate and uses a tiny laser beam of light to the bicep area. This is the same technology used by the National Institute of Health for all of their research studies. Dr. Julie has been using this type of scanning technology since 1983, one year after the scanner was developed. 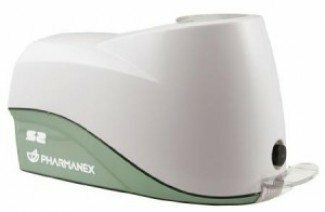 To measure tissue antioxidant levels, all nutritionists use the Pharmanex BioPhotonic Antioxidant scanner using raman spectroscopy. The Antioxidant Scanner was developed at the University of Utah. Dr. Julie Conner had one of the first scanners in Connecticut as of October 2003. Dr. Brian Conner, Dr. Julie Conner and Colleen Wall are providers of many insurance companies such as Aetna, Cigna, Connecticare, Oxford, BlueCross BlueShield, and United Healthcare. Many other policies cover nutritional services. Call your insurance carrier to see if nutrition is a covered service under your plan and how many visits per calendar year are covered. Often, coverage is based on medical diagnosis. Obesity, Diabetes Mellitus and Hypertension are a few medical conditions that are commonly covered by insurance companies. Often preventive health services are typically covered at 100%. A referral from your primary medical doctor is generally not required. Many other insurers cover nutrition counseling if a medical problem requires nutritional intervention. Please note that Dr. Julie and Dr. Brian do not accept insurance for Functional Medicine Assessments. *Note that this list is not comprehensive & other ailments are treated as well through medical nutrition therapy. Dr. Julie Conner, R.D., C.D.N., M.P.H., IFM-CP, Ph.D., has a B.S. in Nutritional Sciences from Cornell University and a M.P.H. in Health Policy and Management from New York Medical College. She completed her doctorate in Holistic Nutrition with High Honors at Clayton College of Natural Health. She completed her internship at Westchester County Medical Center. 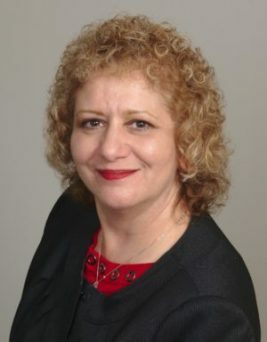 Dr. Julie C. Conner is an active member of the Academy of Nutrition & Dietetics, Connecticut Academy of Nutrition and Dietetics, The Institute for Functional Medicine (IFM), and the National Association of Nutrition Professionals (NANP). Dr. Conner is a Registered Dietitian, a Certified Dietitian-Nutritionist, a Board Certified Holistic Nutritionist, a Certified Health Coach and is Certified in Adult Weight Management. Dr. Conner has completed an intensive three year program through the Institute for Functional Medicine. After completing her coursework, case study and board exam, she is now a Board Certified Functional Medicine Practitioner (IFM-CP). Dr. Julie specializes in the treatment of medically diagnosed nutritional problems and deficiencies, as well as related weight management needs. She specializes in Eating disorders, and treats patients with Anorexia, Bulimia, Binge eating disorders, Compulsive overeating, and Obesity. In addition to weight management, Dr. Julie works with patients with a variety of medical problems including Celiac Disease, Irritable Bowel Disease (Crohn’s Disease and Ulcerative Colitis), Diabetes, Reactive Hypoglycemia, Pre-Diabetes, Metabolic Syndrome, Cardiovascular Disease, Food Allergies and Sensitivities, Thyroid Disease, Polycystic Ovary Syndrome (PCOS), and so much more! Dr. Julie strives to create personal and individualized meal plans that can be easily implemented into one’s everyday lifestyle. The meal plans incorporate either your own food, delicious prepackaged meals and snacks, or a combination of multiple strategies for successful structured meal plans. Dr. Julie Conner will develop a personal program for each patient after an extensive nutritional assessment and evaluation to determine what your nutritional needs are. BioPhotonic Antioxidant Scanning, weight, BMI, body measurements, Wellness Scans and Body Fat Analysis using Near Infrared Spectrophotometry are all used in the assessment of the patient. To help facilitate the recommended changes to her patients’ diets, Dr. Julie also provides a nutrition store on the premises. This helps her patients so that they can easily learn how to make healthy food selections. This unique store specializes in healthy foods and snacks meeting the dietary guidelines and perfect for those following fat, sodium, and sugar restricted diets. In 1987, Dr. Conner was honored by the Academy of Nutrition & Dietetics as Recognized Young Dietitian of the Year. She has both authored and co-authored numerous publications for nutrition professionals. Dr. Conner has co-hosted a weight management video, titled “Double Team Your Weigh Down.” Dr. Julie Conner has been in private practice since 1983. Presently, Dr. Conner provides nutrition counseling services and functional medicine assessments to over one hundred physicians of all specialties in both the New York and Connecticut areas. 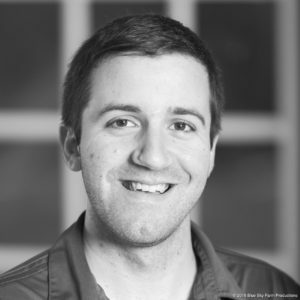 As a chiropractic intern, Dr. Conner worked at the New York Chiropractic College Campus Health Center, Seneca Falls Health Center, St. John Fisher College Health Center in Rochester, and Monroe Community Hospital in Rochester. In addition to these rotations, he provided care for veterans at the Bath, New York Department of Veterans Affairs. He is a member of the American Chiropractic Association, the Connecticut Chiropractic Association, the New York State Chiropractic Association, and the Institute for Functional Medicine. He incorporates both Graston and Gonstead chiropractic techniques when treating his patients. Dr. Brian is Certified in Kinesio Taping, Active Release Technique: Full Body (ART), and Meridian Autonomic Testing (MAT). Dr Brian is an IFM Functional Medicine practitioner through the Institute for Functional Medicine (IFM). 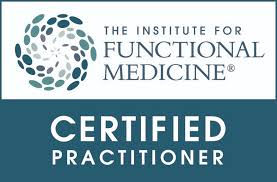 Dr. Conner has completed an intensive three year educational program through the Institute for Functional Medicine. Since completing his coursework and case study, he is now Board Certification Eligible. Dr. Brian has undergone the rigorous education and practicum training and is a Certified Nutrition Specialist and Certified Dietitian/Nutritionist. After a comprehensive nutritional assessment and functional medicine evaluation, Dr. Brian will develop a nutrition plan for his patients to meet their individualized needs. Colleen Wall, R.D., C.D.N. graduated with a B.A. in French and a minor in Sociology from Gettysburg College in Gettysburg, PA in 2000. After working as a bilingual customer service representative for a year and a half, she chose to go back to school to study nutrition. She graduated with a B.S. in Nutrition from Cedar Crest College in Allentown, PA in 2012. She also completed her dietetic internship program with Highest Commendations through Cedar Crest College in May 2013. 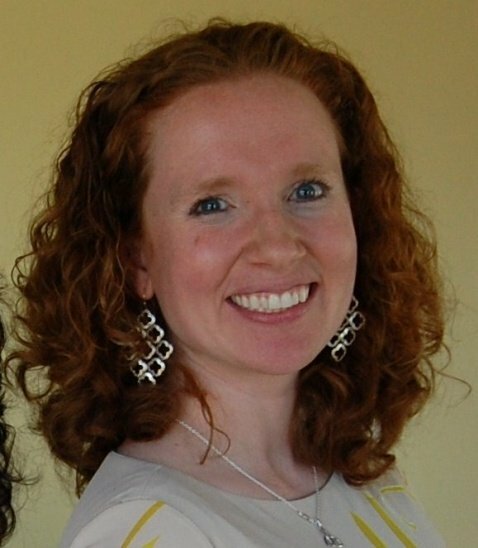 Colleen has been working at Healthy Weighs Wellness Center since 2014 as an Associate Nutritionist. She is married to her wonderful husband, Jim, and they are proud parents to their two sons, Cameron and Spencer.